There are several ways in order to play the music accompaniment. The steps to follow depend partly on where you stand the accompaniment of music and how you want to play the music eventually. 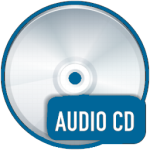 Online music accompaniment CDs, with speed More..
Students can use our online player with speed of the accompaniment music of the textbooks on the secure page Accompaniment CDs. Our students can password for the page Accompaniment CDs found in the conditions or requests by the contactform. You can below comments Leave adjust Tempo CD / MP3. Submitted comments will appear one day later through our website. Your comment we appreciate and this motivates us to write more online learning materials! Comments can also share with you through our Facebook page or email us. thanks in advance. Volume CD / MP3 too low?